Another month has come and gone, and just like clockwork, we now have another CyanogenMod 11 monthly snapshot release. In case you’ve been living under a rock for the past few months, you are likely already familiar with the CM team’s new M release system. Rather than providing release candidate and stable builds, the team now delivers monthly snapshot builds that are generally considered to be more stable and reliable than nightlies, and which can for practically all intents and purposes be used as daily driver builds. * Proximity Wake-Up support – prevent accidental wake-up of device by checking to see if proximity sensor is blocked (eg. Device is in a bag or pocket). * Spam notification filtering – Set notifications to auto-ignore based on content (perfect for those pesky games that want you to ‘Save 20% on our new game’). Long-press offending notification to set as ignored; manage in Privacy settings. The M9 builds are currently in the process of being compiled and will be available for all officially supported devices in due time. And at the time of this article, the tally is at 17 devices and counting. 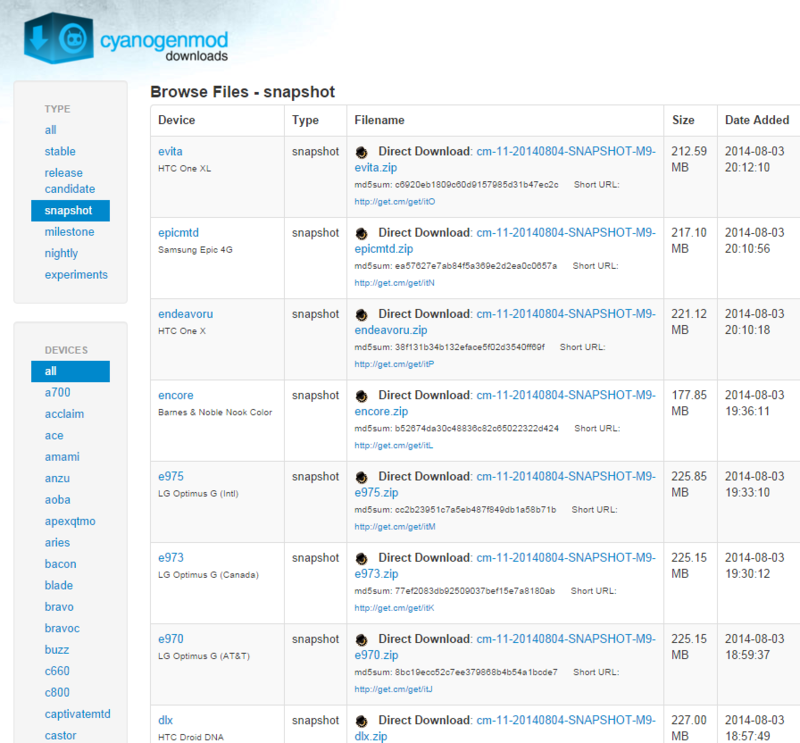 So if you’re a CyanogenMod fan, head over to the CyanogenMod Download Site and pick up the latest snapshot build. Then, be sure to head over to the XDA forums to share your experiences and get in on the additional modifications like kernels, root-level apps, mods, and themes.